"A casserole dish of seasonal vegetables that is so easy to prepare. It can be made a day ahead - just reheat before serving. Lemon juice can be substituted for balsamic vinegar, and you can use baking potatoes if you don't have any Yukon Golds on hand." 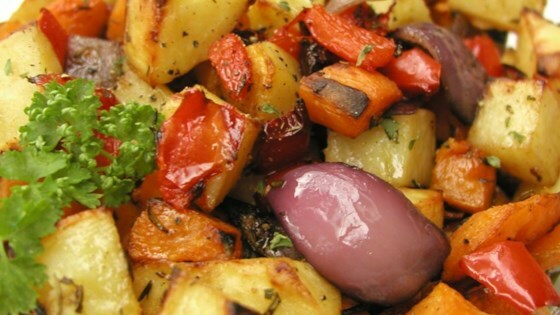 See how to make a simple roasted vegetable casserole.